Acne skin care tips, olive oil and essential oils for sensitive skin treatment. how using Essential Oils with Olive Oil benefits your skin ! Is Olive oil good for acne ? Olive Oil for Acne ? Essential oils for Acne ? That sounds crazy how can Olive Oil or Essential Oils possibly be good for Acne ? Read on .... to find out how these oils maybe the kindest and most beneficial oils you ever put on your face ! Read on to find out ....How and why olive oil and essential oils are the miracle your skin needs.....no more antibiotics or medication, no more nasty side effects, just clear and healthy skin from the inside out ! Olive Oil Health Benefits - A natural remedy. Even worse if it continues into adulthood. Living with clogged pores and follicles is distressing and the pharmaceutical companies are cashing in on the desperation it causes, the solution is kind, gentle, effective, scientifically proven , natural, inexpensive and readily available, it's probably sitting in your kitchen right now.........it's Olive Oil ! Excessive sweating and poor hygiene also contribute...........absolutely the worst scenario is the introduction of bacteria to the skin by fingers determined to annihilate the offending spot ! 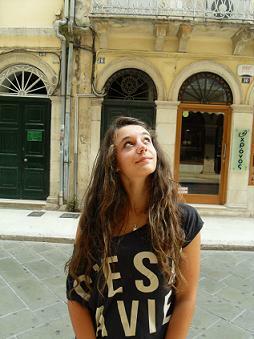 especially for teenagers' Acne,Sensitive Skin Treatment care tips ! Essential oils for Acne....which results in happy skin ! The benefits of olive oil for acne, combined with essential oils skin care, simple, safe, pure and natural ! Olive oil is full of monounsaturated fatty acids - this means in the fat world it's a good guy ...really it encourages a healthy cholesterol ratio ! It brings down the LDL's, the low-density lipoproteins, to maintain an optimum balance, reducing LDL cholesterol levels whilst simultaneously raising up the HDL's, the high-desity lipoprotein levels improving the HDL cholesterol levels. It contains a high density of antioxidants , polyphenols these protect the body from free radicals. The vitamins found in olive oil are D, E and K and a high proportion of Beta-carotenes which the body coverts into Vitamin A. This means that olive oil is an effective anti-inflammatory, antibacterial, anti-ageing, anti-fungal, it protects the body from infections, strengthens the immune response, promotes wound healing and increases metabolism increasing oxygen supply to blood cells. 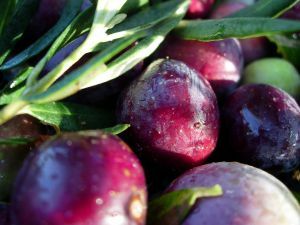 For more information on scientific research go to www.oliveoiltimes.com/olive-oil-health-benefits. Take 2 tablespoons of olive oil a day if none consumed with food, it works from the inside out too! Acne Skin Care Tips -The Olive Oil Cleanse. Acne skin care with essential oils. Acne skin care tips. Please ensure the olive oil that you use is fresh, that is "in date". For the olive oil sensitive skin facial cleanser. 1.Wash face with water or an olive oil soap, to retain the skins correct pH balance. 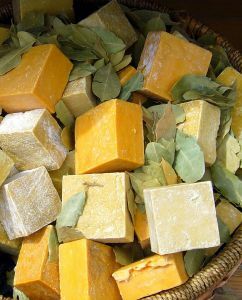 See below how to make olive oil soap. 2. 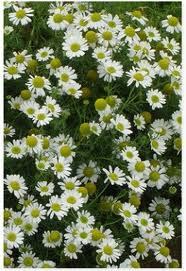 Cleansing the skin with a chamomile infusion may bring relief if the skin is sore.........just use chamomile teabags if chamomile heads are not available,steep in hot water and when the water is warm to cool, cleanse the face with the chamomile infusion. 3.Moisturise your skin with olive oil, really massage it in, due to the slight acidity of the oil you may see cloggy bits of sebum being released from your skin, gently wipe these away....it's not an excuse for the biggest squeezing session of all time ! 4.Try making these essential oil and olive oil facial cleansers/moisturisers. Essential oils for acne.......add a couple of drops of your chosen essential oil to your olive oil. Acne Sensitive Skin Treatment, do not be put off by the term oil, most cosmetic removal creams contain oil and other products that are really not very kind to your skin at all, these acne skin care tips listed here are natural, antibacterial, anti-inflammatory and gentle lotions for your skin, olive oil is a very effective make up remover and moisturiser on its own, combined with the essential oils below it is doubly effective. The calendula and lavender are particularly effective acne scar skin care treatments, the chamomile is very good for extremely sore and irritated skin, the lemon is best for skin with many blackheads. To 10ml olive oil add 2 drops of Calendula Essential Oil. To 10ml olive oil add 2 drops of Chamomile Essential oil. 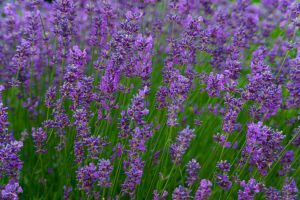 To 10ml olive oil add 2 drops of Lavender Essential Oil. To 10ml olive oil add 2 drops of Lemon Essential Oil. Go to Anayennisi-Aromatics Home from the Acne Skin Care Tips page.